Situated in The heart of Montego Bay, the island's most vibrant community, Breezes Montego Bay offers the best of everything. The first "super-inclusive" resort to come to Montego Bay, Breezes Montego Bay is located on doctor's cave beach and is only five miles from the Montego Bay airport. Situated in the heart of Montego Bay, the island's most vibrant community, breezes Montego Bay offers the best of everything. On one side, Breezes offers instant access to the buzz and excitement of a real downtown district. 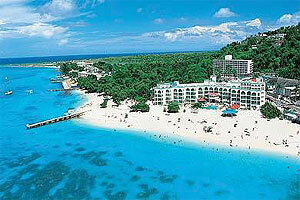 However, on the other side, the resort is situated on an unspoiled stretch of Jamaica's most famous beach. Doctor's cave beach is a legendary favorite of both tourists and locals alike. It's a delightful combination that makes breezes so much fun for so many different types of people.